How Florida shoplifter Brooke Amber Sutton (pictured) came to leave a wake of puddle in her mischievous deeds. 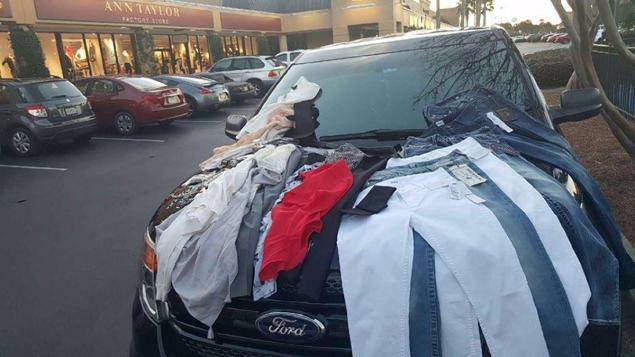 Florida shoplifter Brooke Amber Sutton has been been arrested after stealing more than $2000 in designer clothes and then peeing in the dresser room, along with (naturally) leaving her her cell phone behind. The woman’s arrest at a beachside designer store on Friday came after an Ann Taylor employee discovered removed security tags, a missing cell phone along with a puddle of pee in the dressing room. Brief pause. Remember not to get my new designer shoes wet. 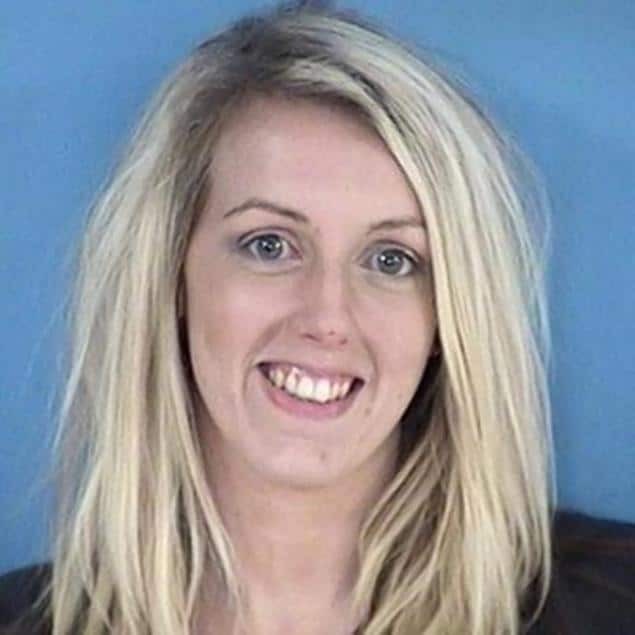 According to a statement via the Walton County Sheriff’s Office our collective 27 year old hero is alleged to have ‘raided’ a Saks store at Miramar Beach’s Silver Sands Outlet where she is accused of having stolen six pairs of jeans by draping them over her arms and hiding them under a men’s coat. Hopefully the coat remained stain free? The shopping spree allegedly began after the hapless woman took several pieces of Ann Taylor merchandize into a fitting room, ripped off the security tags and nonchalantly walked out of the store. Indeed. It wasn’t until an employee found the left behind tags, cellphone and sudden rain-shower that she called cops. How or why Brooke Amber Sutton came to urinate in the dressing room is yet to be understood. But it gets better. Don’t step in the puddle please. 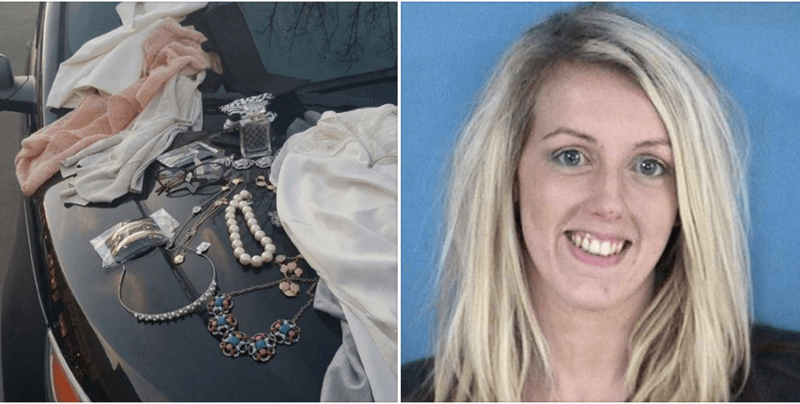 From there, Sutton is accused of having then waltzed over to the outlet’s Saks Off Fifth shop where she hauled 15-20 pairs of jeans into a dressing room and slipped six onto her arms. From there she threw a man’s jacket on top over the jeans laden on her arm before fleeing the store. Upon discovering the woman’s left behind cellphone, responding deputies used the cellphone to call the woman’s husband in a bid to get a description of her car. It wasn’t too long before an officer tracked it and our collective hero in the parking lot. 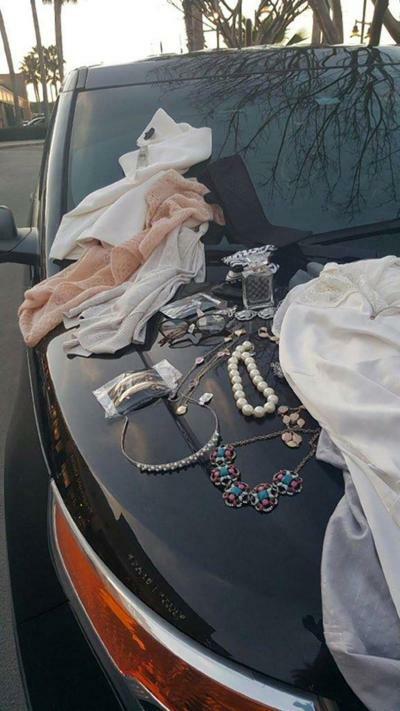 Deputies found $2,100 of stolen goods — including a trove of necklaces, tops and $1,000 worth of jeans — in the car. Sutton was arrested on two counts of felony retail theft. She bonded out of jail Saturday and is currently awaiting trial. Isn’t it time you had a wet adventure too?